I know, I know... August is not over for another two days (program listings tell the tale). Most Trails of History sites are open Monday for Labor Day, but it's always best to check the schedule. We hope you'll join us at some point in September to enjoy a taste of Pennsylvania heritage and culture. Also, be sure to check back with this post as the month wears on, I'll update the listings when I get new info. Saturdays in September—South Side Farmers Market at Scranton Iron Furnaces, 10 am-2 pm. Sept. 11: Remembrance Day—ceremony commemorates the Battle of Brandywine, Sept. 11, 1777, and the events of Sept. 11, 2001. 6-7 pm. Sept. 27: Encampment Day—reenactors, house tours, craft demonstrations and other activities. Admission charged; the program flyer has details. 9 am-4 pm. Sept. 6: Con on the Run—this day-long tabletop gaming event features five games based on historical battles, a chance to view a diorama of the Battle of Bushy Run, prizes, and more. Cost is $5, free to members of Bushy Run Battlefield Heritage Society. Contact museum facilitator Scott Perry for more info, bushyrunbattlefield@gmail.com. 9 am-5 pm. Sept. 13: General Meeting and Lecture—Speaker is Dr. Richard Grimes, author of "We Now Have Taken Up the Hatchet Against Them": Braddock's Defeat and the Martial Liberation of the Western Delawares. Cost is $5, free to members. 1 pm. 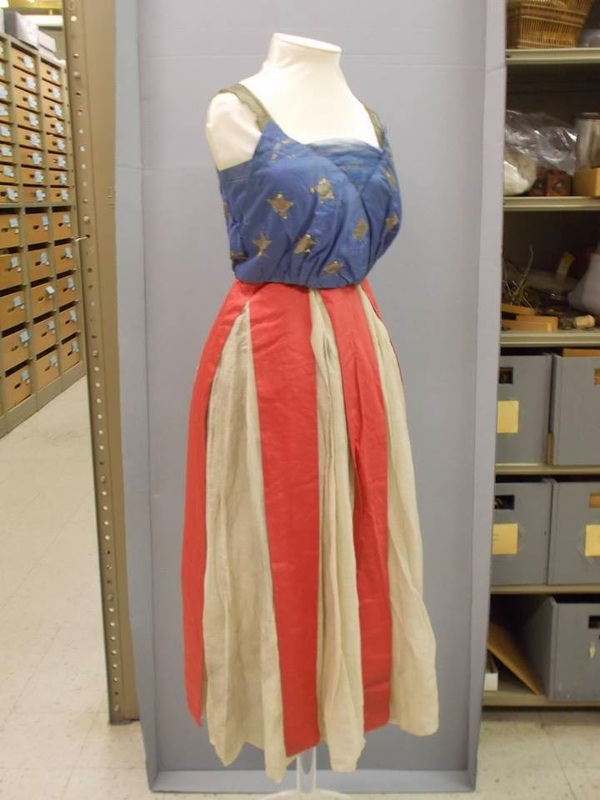 Sept. 21: Fall Tea—this year the event includes a fashion show of 18th-century styles. Facebook has the details. Cost is $15 per person; call 724/527-5584 for reservations (seating is limited). 11 am-1 pm. Sept. 28: Summer Lecture Series—"Evolution of Warfare, 1500-1791" will explore changes in equipment and tactics, highlight some important battles and commanders, and discuss how military changes wrought political changes in Europe. Cost is $5, free to members. 1 pm. Sept. 7: First Sunday—the site will be open today, noon to 4 pm. Sept. 14: Weiser Interpretive Sunday—historical reenactors help bring the site and its history to life. Noon-4 pm. Sept. 20: 34th Annual Conrad Weiser Disc Golf Tournament—Registration starts at 8-9:30 am, tee-off at 10 am. Contact Mike Dunkle, mdunkle@verizon.net, for info. Sept. 9: Friends Lecture Series—topic is "From Horse Drawn to Horseless Carriages" with speaker Bob Ladd, who will focus especially on automobiles produced in central Pennsylvania. Held in Freeman Auditorium at Cornwall Manor. Free and open to the public. 7 pm. Sept. 20: Cast Iron Cooking Demonstration—learn about cast iron cooking pots and see them in use. Demonstration is free. Regular admission fees apply for tours of the Furnace (see where cast iron comes from). Demonstration 11 am-3 pm; museum is open 9 am-5 pm. Sept. 20: The Homestead Open Golf Tournament at Arrowhead—this is a fundraising event; registration is $75 per person and includes greens fees with cart, catered lunch, and the chance to win prizes. Contact Amanda Machik at 610/582-4900 or info@danielboonehomestead.org to register. Sept. 20: Fall Gas Up—the Pioneer Steam and Gas Engine Society will display antique gas engines on the grounds of the museum. Included in regular admission. 9 am-4 pm. UPDATED 9/4/14 Sept. 26: Heritage Lecture Series—please check back later for program details. Dr. Cassandra Stancil Gunkel will use historic and reproduction quilts to explore the ongoing debate about the use of quilts by escaping slaves and the people who aided them on their journey (you can read more about it in the Titusville Herald). "The Underground Railroad in Quilts?" is supported by the Pennsylvania Humanities Council and presented in partnership with the Titusville Historical Society; the program is offered free of charge. 7 pm. Sept. 27: Oil Valley Blacksmiths—this is a monthly demonstration program held the last Saturday of the month from April through October. Included in regular admission. 9 am-2 pm. Sept. 20-Nov. 8: 2014 Fall Foliage Photo Contest—entries will be accepted for this year's contest to capture the best photo of Eckley during the autumn. Eckley's Facebook page has more details on how to participate (and you can see the lovely photo that won last year). Sept 6: Founders’ Day—Discover the roots of the Ephrata community with a special admission price of $1 (ages 3 and up) and lots of interesting activities on the site. Tickets for tours of the rarely shown upper floors of the Sisters’ House are $12; capacity is limited and reservations strongly suggested. 10 am-4 pm. Sept. 20: Artisans' Faire—local craftspeople will display and sell their wares. Included in regular admission. UPDATED INFO 9/19: Special reduced admission, $7 per adult; site tours offered at 10 am, noon, 2 pm, 3:30 pm. 10 am-3 pm. Sept. 26-27: Stuffed Animal Sleepover—kids drop off a stuffed animal Friday afternoon and return to the site Saturday morning for family activities and exploration. Each child receives photos of their buddy's overnight stay (Facebook has photos from the program in March). Visit the website for details. Sept. 10: 201st anniversary of the Battle of Lake Erie—a commemoration ceremony on the Museum plaza, next to the Flagship Niagara, will be followed by a reception and unveiling of a new model of the ship. Free to members. 5:30-7 pm. Sept. 16: Lecture Series—John Grady, former editor of Navy Times and retired Director of Communications at the Association of the United States Army, will present "The USS Wolverine and the Confederate Raid of Johnson Island." Open to the public, offered in partnership with the Civil War Roundtable. 6:30 pm. Sept. 13-14: Royal Artillery at Fort Pitt—hear what it was like to be a member of the Royal Artillery defending the fort, with cannon drills and firings throughout the day. 10 am-5 pm. Sept. 24: Homeschool Festival—activities include tours of the Keith House, open-hearth cooking, militia drills, and colonial games (the program flyer has the details and some great photos from previous events). Cost is $6 per person; students must be accompanied by a responsible adult. 10 am-2 pm. Sept. 27: Paranormal Journeys Expo—this event brings together vendors and others with an interest in paranormal investigations. There's a program flyer with more details. Sept. 21: Site open—enjoy the grounds and take a guided tour of the mansion. Admission is $5 (age 18-59), $4 (age 6-17 and 60+), FREE for Friends of Hope Lodge members and visitors age 5 and under. 12:30-4 pm (tours at 1, 2, and 3 pm). Sundays in September: September Ice Cream "Sundays"—enjoy a lovely Sunday afternoon with wagon rides, live music, and crafts, all included in regular admission (free for members, hint, hint). For $1 more you can make your own ice cream sundaes. Noon-3 pm. Sept. 13: Wool Frolic—Watch demos of bobbin lace making, dyeing fibers, knitting, crocheting, weaving, flax processing, and shearing. Enjoy activities for the kids, as well. Included in regular admission (kids 5 and under are free). Outside the grounds, you'll be able to shop for deals on yarn, patterns, and paraphernalia. 10 am-4 pm. Sept. 20-21: Autumnfest at Old Economy—Learn how the Harmonists celebrated the harvest and prepared for the winter ahead. Craftspeople will demonstrate 19th-century trades, and hands-on activities include churning butter, making apple schnitz (dried apples), and pressing apples for cider. Taste grape pies made from grapes grown on-site. There will also be Oktoberfest-themed refreshments for purchase. 10 am-5 pm; Sun., noon-5 pm. Sept. 7: Historic Trades—the blacksmith and joyner will be on hand to demonstrate their work with metal and wood. Included in regular admission 1-4 pm. Sept. 14: Living History Theater—“Penn's Departure” explores the Penn family's imminent return to England (in 1701) and their concerns on leaving Pennsbury. Included in regular admission. 1-4 pm. The Paths Less Traveled Tour—a behind-the-scenes look at areas not normally open to the public, such as the basement and third floor of the Manor House and the upper floor of the Kitchen House. $15 per person (free to members). 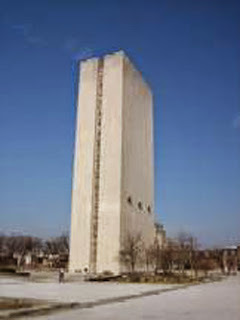 Tours on the half-hour, from 1 to 3:30 pm. Sept. 21: Open Hearth Cooking—there's always something cooking, check back here later for updates. Included in regular admission. 1-4 pm. Sept. 26: Dine Around the Manor, 75th Anniversary Edition—enjoy a progressive dinner while you explore the site, watch cooking demonstrations, and listen to musicians strolling the site. End your evening with dessert in the Visitor Center. Tickets are $75 per person. Call 215/946-0400 for reservations. Sept. 28: Garden Highlights and Beer Brewing Demonstration—it’s beginning to look and feel like fall in Pennsbury’s gardens and the gardeners will be on hand to talk about it. You'll also find beer brewing in the Kitchen House. Included in regular admission. 1-4 pm. Sept. 13-14: Then & Now—this bivouac/encampment program features a living history military timeline stretching from the 18th to the 21st century. Music from various time periods and a battle dress fashion show (1 pm each day) as well as ample opportunity to talk with reenactors and others about their particular areas of interest. 10 am-4 pm. Sept. 6: Model Railroading Day—model railroad clubs and historical groups will display layouts in various scales throughout Rolling Stock Hall. Included in regular admission. (PLEASE NOTE: model railroading clinics and Restoration Shop tours are already filled.) 9 am-5 pm. Sept. 5-7: Mountain Craft Days—since 1970, this event has brought together artisans and craftspeople of all types, and now includes children’s activities, cooking demonstrations, entertainment, and great food (brochure with info, directions, and next year's dates). Admission is $7 for adults, $4 for kids 6-17. 10 am-5 pm. Thru Sept. 1: Harrisburg Kipona festival—State Museum archaeologists will be on City Island to talk about excavations conducted there by the PHMC and the City of Harrisburg. 10 am to 6 pm. Sept. 8-Oct. 10: Excavations at Fort Hunter—archaeologists from the museum will be conducting their annual dig at Fort Hunter, just north of Harrisburg. The public is welcome to visit on weekdays, 9 am-4 pm. Sept. 14: Gallery Walk—the museum will be open free of charge, 11 am-6 pm, as part of the citywide event. This is also the last day to view the “Art of the State” exhibit. Sept. 19: Learn@Lunchtime and 3rd in the Burg—enjoy free admission to the museum and be among the first to see the new Planetarium show, Back to the Moon for Good, narrated by actor Tim Allen. Learn@Lunchtime shows are on the half-hour from 11 am to 1 pm; 3rd in the Burg shows are every half hour from 5:30 to 7 pm. Sept. 24: HomeSchool Day—a special program tailored for families and community organizations teaching in a home setting. There will be a variety of gallery tours, presentations, and hands-on activities. UPDATED 9/10/14: Press release with details is available online. Admission is $10 per person, free to State Museum Affiliate Members and members of the Pennsylvania Heritage Foundation. Call 717/772-6997 to register. 10 am-3 pm. Sept. 14: Afternoon Concert Series—the Newtown Chamber Orchestra will inaugurate this new series with a concert of 18th-century chamber music. Tickets are available at the Visitor Center (price range is $25-45); concert will be held in the auditorium. 2 pm. Sept. 21: McConkey's Market and Muster Day—enjoy a day out as historical interpreters and reenactors get in the spirit of a colonial marketplace and militia drill. There will be activities for families, and the marketplace will include local produce and baked goods in addition to crafts. Admission is free. 10 am-4 pm. Info about programs on the Trails of History this weekend can be found in the "About Us" section on the right side of your screen. 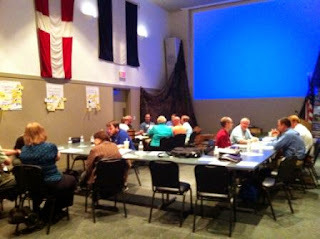 Earlier this week, a great bunch of people gathered at the Pennsylvania Military Museum (thank you for hosting!) to explore Science, Technology, Engineering and Math (STEM) education as it relates to the work that museums and historic sites do. 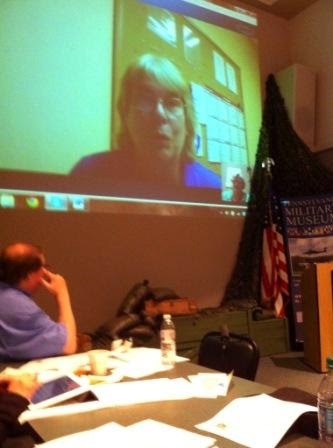 Thanks to Rhonda Newton of the Pennsylvania Heritage Foundation, the program included Sally Flaherty and David Bauman, curriculum advisors (Social Studies and Science Education, respectively) from the Pennsylvania Department of Education (PDE), as well as Jill Whelan from Conner Prairie Interactive History Park (via Skype). 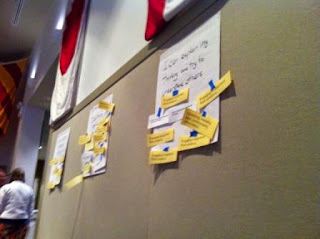 Staff from all over the Trails of History participated in discussions about STEM and how much of what they already do in their programming touches on these disciplines. Flaherty and Bauman shared with us PDE's working definition: "STEM education is an intentional, integrative approach to teaching and learning in science, technology, engineering, and mathematics. Students become adept problem solvers, innovators, and inventors who are self-reliant by asking questions, investigating, making informed decisions about how they live their daily lives and engage in their vocations and communities." They also walked us through an exercise that showed the connections between academic standards for scientific and mathemtatics practice and academic standards for history, in terms of the kinds of intellectual frameworks and activities that engage students. It struck me that "integrative approach to teaching" and "asking questions, investigating" also describe the best ways that museums and historic sites help students (of all ages) learn about the past and how it relates to their lives. Hmmmm. Whelan shared with us a bit about her experience working with front-line staff at Conner Prairie to help them be more comfortable talking with visitors about STEM. She also created a sample matrix that can be used to articulate the STEM concepts that are embedded in so many educational components and public programs at our historic sites, from cooking and food preservation, to gardening, to clothing, to transportation, to...you get my point. Perhaps the best part of the day (shhh, don't tell our bosses) was the small group and large group discussion at the end of the day, where long-time and newer colleagues talked about how to apply what we heard and about what we, as a group, can do next. It has been quite a while since we got this bunch together and it was invigorating to see the possibilities for sharing expertise across sites. Stay tuned. Looking for something to do this weekend? A link to the August program listings is in the right hand navigation, under "About Us" (or you can click on "August program listings" in this sentence). Thank you to Caroline Briselli for last Friday's post about her internship in Collections Management and to Jake Coen for his Wednesday post about interning in the Pennsylvania State Archives. For more info on summer internships on the Trails of History, check out Chronicle Ephrata or the Pennsylvania Historic Preservation blog. While pulling together some links for coverage of the Pennsylvania Military Museum's Boot Camp for Kids earlier this month (photos are on Facebook), I noticed that one young man, 12-year-old Jake Tanner, was quoted in both a Centre Daily Times article and on the "We Are Central PA" website. He is apparently a repeat participant and provides a great (unrehearsed, we swear) testimonial for the program. He's quoted on the website as saying, "It's really fun because you get to interact with real veterans, too." The CDT article includes this: "You support the museum. That's probably most important because it does a lot for the community and lets us be in this event. I think it's a way to give back to teach us stuff like this." Jake, you warm my heart. The Pennsylvania Lumber Museum is mentioned in a PennLive article about scenic views throughout Pennsylvania. The article includes the museum as an attraction nearby the ruins of Austin Dam, in Potter County. 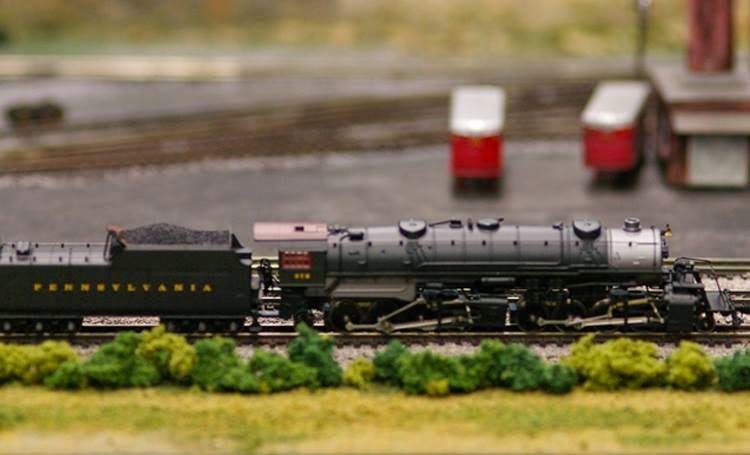 Today (Aug. 15) is the last day to register for discounted admission and model railroading clinics planned for the Railroad Museum of Pennsylvania's Model Railroading Day on Sept. 6. Space is limited. National Model Railroad Association, Susquehanna Division, is handling registrations. The organizers of the Drake Well Marathon are hoping to provide a larger crowd this year to cheer on the runners and encourage them on their 26-mile trek from Drake Well Museum through Titusville to the finish line. If you can head out this Sunday, you can help make Titusville a bigger event for the marathoners and encourage more to participate next year. And speaking of Drake Well, this item reaches way back into June (I finally waded through my Google Alerts). Congratulations are due to Melissa Mann, site administrator, who was recognized with the Samuel T. Pees Keeper of the Flame award by the Petroleum History Institute for her work at Drake Well and, previously, with Oil 150 and the Oil Region Alliance. Congratulations to the Erie Maritime Museum and US Brig Niagara! The Flagship Niagara League's participation in Erie Gives Day on Tuesday garnered more than $12,500 to support the ship and its programs (and that's before their share of the matching funds). Voting for Erie's Choice Museum is open until August 31, and Erie Maritime Museum is one of the nominees. Vote early, vote often! Today's guest blogger is Jake Coen, who has spent this summer as a PHMC Keystone Intern assigned to the Pennsylvania State Archives. A lifelong Harrisburg resident, Jake will return this fall to Providence College, in Rhode Island, where he majors in history. Thanks, Jake. On July 28, the interns at the Pennsylvania State Archives took a field trip to Carlisle to visit three other document and artifact repositories. While the State Archives contains artifacts ranging from railroad engineering drawings to a few locks of Thomas Jefferson’s hair, the visit to Carlisle proved to be an eye-opening experience. The first stop on the Carlisle trip was to the Army Heritage and Education Center. This massive federal complex boasts a museum of American military history, a series of outdoor interactive exhibits and reconstructions, an impressive archive and artifact repository and two state-of-the-art conservation labs. Needless to say, it was a very impressive experience! Interns were treated to a private tour of the museum that pointed out not only the major artifacts on display and interactive experience, but also drew attention to the planning and construction of exhibits. After a walk through the conservation labs and artifact repository, the head of the archives gave the interns a once-in-a-lifetime opportunity to see (and touch!) some priceless documents, including a letter written by Robert E. Lee during his retreat from Gettysburg and the transcript from the telephone room at Pearl Harbor on the day of the Japanese bombardment. The last stop was the Cumberland County Historical Society, a privately owned and operated museum, library and archive. During a private tour around the museum and collections, the interns discussed the challenges and rewards of maintaining a private archive and museum as well as some of the technological and outreach-based programs used by the society to preserve its records and to reach a wider audience. While it may seem like one museum or one archive may have it all when it comes to a certain topic or field of interest, the State Archives intern field trip to Carlisle demonstrates that this is simply not true. Each repository and museum offers its own unique and exciting collections that are arranged and cared for in a variety of ways. Whether holding soldiers’ journals, a collection of 16th-century books, or a variety of maps and charts of a particular region, the three archives visited by the interns presented a different set of records that, when looked at as a whole, complemented each other to form a much fuller picture than any single institution could do on its own. The listing for August events on the Pennsylvania Trails of History is in last week's post. PHMC Keystone Intern Caroline Briselli is a rising sophomore at the Pennsylvania State University, majoring in history with a minor in business in the liberal arts. In this week’s guest post, she shares with us her experience working in the State Museum of Pennsylvania’s Collections Management office. Thank you, Caroline, and best of luck for the next steps in your career. What’s the role of the collections management office? What does a registrar do? How do museums acquire artifacts? If someone had asked me those questions a few months ago, I couldn’t have given them anything more than a blank stare. Today, after spending thirteen weeks interning at the State Museum of Pennsylvania, I can answer all those questions, and more. The experiences I have gained this summer, and the opportunities I have had access to are incredibly valuable and very unique to this program. One of my favorite parts of the internship is helping with the inventory project. The State Museum recently embarked on a complete inventory of their collection – every artifact, from the heaviest pieces of furniture to the most delicate porcelain doll, is getting counted. While it may seem overwhelming, this project is essential to gain a better understanding of our collection and what’s in it. [Editor’s note: PHMC has been sharing info on social media (including Trailheads) about rarely seen artifacts encountered during the inventory project.] I worked side-by-side with a curator to inventory almost 2,000 artifacts in the Community and Domestic Life collection and came across everything from silverware to textile stamps to candlestick molds to still-full bottles of Pennsylvania liquor. Every drawer, box, and shelf had a unique artifact with a story! I also catalogued a collection of Christmas artifacts – ornaments, Christmas tree lights, stockings and even a Santa Claus puzzle. I measured, photographed and described each artifact, then entered the information into CuadraSTAR, the collections management database used by the PHMC. Cataloguing is the process of creating a record for an object, which allows the collections management office to keep track of information about artifacts, such as their appearance, their condition and their provenance. The collections management office not only handles the collections of the State Museum, but also those of the PHMC’s historic sites. One of these sites, similarly to the State Museum, had recently undergone a complete inventory, so I helped with the second step of the process, inventory justification. Using the catalog information, as well as accession records, I worked to make sure that everything on-site was in its place, and looked for anything that had been lost or misplaced. It was always very rewarding when a stray artifact could be reunited with its catalog number! I visited several of the PHMC's historic sites. One of my favorite trips was with my supervisor, Mary Jane Miller, the collections manager. We attended a collections committee meeting, where I learned about the process by which the PHMC acquires – “accessions” – and removes – “deaccessions” – artifacts in the collection. This summer, I also learned more about the role of the registrar, who works to keep track of accessions, deaccessions, and loans, both from our museum to other museums and from other museums to us. Over the past several weeks, I have gained experience that will help me as I pursue a career in the museum field. The role of the collections management office is to keep track of all the artifacts in a museum, and I’m fortunate to have worked in the office that provides this crucial service to the PHMC. I’ve learned how to inventory, how to justify an inventory, how to catalogue artifacts and how to use a collections management database. Outside of collections management, I’ve sat in on webinars about the future of museums, shadowed the museum education department, visited historic sites, and attended a nomination meeting for the National Register of Historic Places. I would encourage anyone interested in the field of history to apply for the Keystone Internship program. PHMC, has so much to offer students in the way of experience and networking. Our intern coordinator, Amy Jukus, organized events that help the interns make connections with museum professionals who can provide advice about career paths, education, and the field. Interns have the opportunity for professional development and career exploration, and PHMC staff members are always willing to let interns shadow them. I have had a great summer interning at the Pennsylvania Historical and Museum Commission, and I would like to thank everyone on staff for supporting the interns – especially Mary Jane Miller, Maureen Lane, and Amy Jukus! They were the daughters of the governor of New Sweden, a 17th-century colony settled near present-day Philadelphia. Less is known about Armegott’s sister, Christina, who left New Sweden in 1653 never to return. What is certain about both siblings is how they appeared during their lifetimes. Christina Printz (orange dress) and her sister, Armegott Printz. Both lived in New Sweden, near present-day Philadelphia. 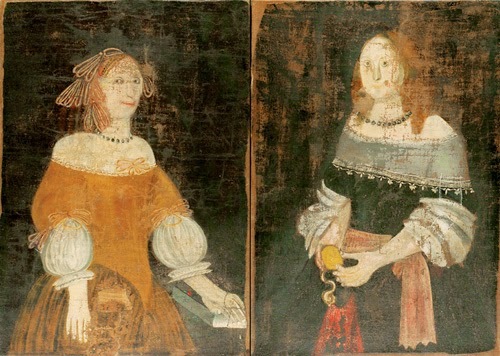 Lost for years, portraits of Christina and Armegott were rediscovered around 1960 in the attic of a church parsonage in Sweden and donated to The State Museum of Pennsylvania. The Pennsylvania Historical & Museum Commission as launched a digital effort, dubbed Pennsylvania Treasures, aimed at sharing rediscovered artifacts, such as the Printz paintings, and their stories with the public. The commission has, so far, posted four of these artifacts via Facebook, Twitter, LinkedIn and Pinterest. Two years ago, the museum set in motion a program designed to better inventory and catalog its collections. Most museums, the state’s repository included, exhibit only a portion of their collections. And many of the artifacts, much like the Printz portraits, come with stories that add to their intrinsic value. For example, David Ramsey’s trio of battlefield wounds would have likely garnered him a mention in the annals of Civil War oddities, but it’s what happened 30 years after his death that brought the soldier to the historical forefront. While cleaning out a rail car on the Northern Central Railroad, workers stumbled upon Ramsey’s Gillmore Medal. He earned the rare military decoration, so named after Maj. Gen Quincy A. Gillmore, for bravery demonstrated during the 1863 Siege of Charleston, said Bradley K. Smith, curatorial administrator with The State Museum of Pennsylvania. The medal is now on display, along with other Civil War-related artifacts, at the State Museum. This post is updated as new info or links come to my attention. So much to do, so little time? I hope you'll be able to make time to visit the Pennsylvania Trails of History before the summer gets away from you completely! 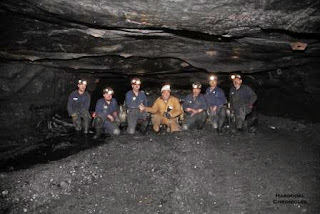 August 16: Anthracite Heritage Museum exhibit opens—"The Hardcoal Chronicles 40th Anniversary, 1973-2013" features the photography of Scott D. Herring. Herring's work to document life in the anthracite region has generated more than 162,000 images; this new exhibit is a selection of works. Opening reception is noon-4 pm, and the exhibit will remain on view during regular hours through June 30, 2015. Included in museum admission. Aug. 24: Exhibit closes—today is the last day to see "A Geological History from the Coal Age to Dinosaurs," featuring wood carvings by Gene Moyer. Included in regular admission. Aug. 31: Railroad Movie Day at Anthracite Heritage—I'll try to bring you more details closer to the date. UPDATE: Historian Charles Petrillo will present four films: Lyman Howe's Runaway Train (1914), March of Time: Railroads in the United States (1948), Railroads and the National Defense (1952), and Wanamie Railroad and Coal (1966). Included in regular admission. 2 pm. Aug. 2-3: 251st Anniversary of the Battle of Bushy Run—there are two battle reenactments (morning and afternoon), so you can learn about the events of August 5-6, 1763, all in one day. You'll also find military camps, period craftspeople, and food vendors at this annual event. (To read more about the anniversary, check out this week's post on the Pennsylvania Historic Preservation blog.) Admission is $5 (age 4 and up). 10 am-4 pm. Aug. 30: Summer Lecture Series—"Naval Warfare in the Age of Sail" explores the history behind such popular fictional characters as Horatio Hornblower and Jack Aubrey. Admission is $5 (free for members of Bushy Run Battlefield Heritage Society). 1 pm. 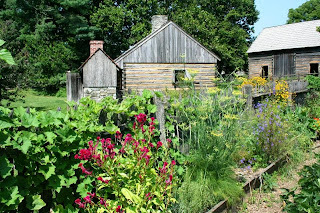 Aug. 3: 18th-century Interpretive Sunday—learn about life in Berks County in the mid-18th century. Noon-4 pm. Sundays in August: Site open, noon-4 pm. Aug. 8: Blast!—this event features local breweries and wineries, live music, and light fare; there will be “soft” refreshments (including root beer) suitable for designated drivers and folks younger than 21. Advance tickets are $35; designated driver and under 21, $15. On the day of the event, tickets are $45 ($25 for DDs and under 21). Advance tickets may be purchased at the furnace or by calling 717/272-9711 to charge by phone. 6-9 pm. Aug. 12: Lecture—Mal Fuller's topic will be "9/11 and the Heroes of Flight 93." Part of the Friends of Cornwall Iron Furnace lecture series, the program takes place in Freeman Hall auditorium at Cornwall Manor. 7 pm. Aug. 3, 10, 17, 24, 31: Interpretive Sundays—spend Sunday afternoons in August learning about farm animals (8/3); the Bertolet Sawmill (8/10); colonial games (8/17); writing and communication (8/24); and skills of the gunsmith (8/31). Included in regular admission. Noon-4 pm. Aug. 6, 13, 20, 27: Sawmill Operation Days—subject to staff availability, there will be demonstrations of the site’s water-powered sawmill. Free of charge (admission rates apply to visit the historic area and the homestead). 11 am & 2 pm. Saturdays and Sundays in August: Historic Pithole Open—the visitor center will be open, so enjoy the orientation film and the excellent diorama that shows the town in its heyday. Admission charged. 10 am-4 pm. UPDATED: Aug. 9: Family Day AND 100th Anniversary of the DAR Monument—"Family Day" programs may feature kid-friendly film screenings, crafts, music, demonstrations and more. Also today, the site partners with the Piety Hill Chapter of the Daughters of the American Revolution to celebrate the monument to Drake Well dedicated by the DAR on August 27, 1914 (read more about it and see a photo). Both are included in regular admission; special family rate of $20 for up to 2 adults and 3 kids. 9 am-5 pm (DAR ceremony at 2 pm). Aug. 23: Drake Day Circus—the oil boom era comes to life with jugglers, fire-eaters, music, and acrobats. Included in regular admission; special family rate of $20 for up to 2 adults and 3 kids. 10 am-4 pm. Aug. 30: Oil Valley Blacksmiths Association—this monthly event brings local blacksmiths to the site to show how it’s done. Included in regular admission. 9 am-2 pm. Aug. 16-17: Civil War Weekend—learn about soldiers' experiences and life on the homefront through encampments, demonstrations, presentations by the Eckley Players, and musical entertainment of the Civil War era. EMV's new website has the details. Admission charged. 10 am-5 pm. Aug. 3: Ice Cream Social—enjoy an evening of ice cream and sundae toppings (courtesy of Turkey Hill) and music (vocalist Dean Sensenig) in a beautiful setting. Tickets are $3 and are available ahead of time at the Museum Store (you can also purchase at the door). 4-7 pm (all-you-can eat ice cream while supplies last). Aug. 7, 14, 21, 28: Behind the Scenes in Collections Storage—get a sneak peek at artifacts that are not currently on exhibit as you tour collections storage with the curator. Included in regular admission. 1-3 pm. Aug. 9, 23: Student Historian Saturdays—teen volunteers will share the history, crafts, and skills of the past. Included in regular admission. 10 am-3 pm. Aug. 13: Storytime—preschoolers and their accompanying adults enjoy a story and related craft or other activity on the site. Cost (includes the program and general admission) is $6 for one adult and one child (age 3-5); $3 for each additional child. Family-level members of Ephrata Cloister Associates get in free or you can use a Library System of Lancaster County Family Museum Pass. 10-11 am. UPDATE 8/22/14: Sorry to report that this event has been cancelled—Aug. 23: Family Fun Day Family activities, games, and food (sponsored by Westview Golf Course) let you experience the historic site in a different way. Tickets are $5 and can be purchased in the Museum Store or by calling 717/733-6600. 4-8 pm. Aug. 12: Erie Gives—on behalf of the museum and ship, the Flagship Niagara League is participating in this year’s community-wide online fundraising drive. Your donation (minimum $25) any time between 8 am and 8 pm on August 12 will be stretched by the Erie Community Foundation. Aug. 9: Fort Pitt Speaker Series—Dr. Holly Mayer, Duquesne University, will present a talk entitled, "Camp Followers and Community during the American Revolution." Free of charge. 5:30-7:30 pm. Aug. 9-10: Living History Program Series—this month the focus is on the 250th anniversary of the Fort Pitt Blockhouse. 10 am-5 pm. Aug. 24: Living History Theater—"Revolutionary Graeme Park" features special tours of the Keith House, where visitors will encounter scenes related to the American Revolution and its effect on Elizabeth Graeme Fergusson and her contemporaries. Light refreshments will be served in the visitor center. Admission is $12. 1-3 pm (tours approximately every half hour). Aug. 6: Movie Night—bring a blanket or lawn chair and settle in to watch The Great Gatsby (2013 version), starring Leonardo DiCaprio, Tobey Maguire, and Carey Mulligan. Presented by Whitemarsh Township Parks and Recreation. Admission is free. Starts at dusk (about 9 pm). Aug. 17: Site open—enjoy the grounds and take a guided tour of the mansion. Admission is $5 (age 18-59), $4 (age 6-17 and 60+), FREE for Friends of Hope Lodge members and visitors age 5 and under. 12:30-4 pm (tours at 1, 2, and 3 pm). Aug. 3: Oxygen Day—in honor of Dr. Priestley’s best known scientific contribution, this program features costumed docents throughout the house (which includes what may be the first laboratory in America) and chemistry demonstrations. Admission is free. 1-4 pm; chemistry demos at 1:30 and 3 pm. Aug. 5: Hands-On History Day—experience chores, games, and crafts from the past, take a wagon ride, and learn your lessons in the one-room schoolhouse. Cost is $10 per person. 10 am-3 pm. Aug. 9: Tales, Legends, and Lore—a full day of storytelling around the site, plus hands-on activities and wagon rides. Admission charged. 10 am-4 pm. Saturdays: 19th-century Trades and Crafts—glimpse life and work in the 19th century through demonstrations and tours - woodworking and children's games (8/2); textiles (8/9); blacksmithing (8/16); breadbaking and cooking (8/23); variety of crafts (8/30). Included in regular admission, so please start at the Visitor Center. 11 am-4 pm (site open 10 am-5 pm). Aug. 13: Lecture—Speaker is Joe White, retired professor of history at Univ. of Pittsburgh, who is writing a new history of the Harmony Society and its leaders. Admission is free. 7-8:30 pm. Aug. 22: River City Brass—back by popular demand, River City Brass will present a concert on the grounds of OEV. Tickets are $15; bring your own lawn chairs and/or blankets for seating and feel free to bring a picnic. Gates open at 5:30 pm, concert begins at 6. UPDATE 8/11/14: Tickets now available online. Aug. 23: Gertrude Rapp’s Birthday Party—a full day of activities, with crafts demonstrations, ginger cookies, and ice cream. Included in regular admission. 10 am-5 pm. Aug. 3: Historic Trades—the blacksmith and the joyner will demonstrate their skills. Included in regular admission. 1-4 pm. Aug. 10: Living History Theater—“A Visit from the Neighbors” invites you to settle in for a chat and hear the latest (17th-century) local news. Included in regular admission. 1-4 pm. Aug. 17: Open Hearth Cooking—it’s “cooks’ choice” today as the cooks select their favorite 17th-century recipes to share. Included in regular admission. 1-4 pm. Aug. 24: Garden Highlights and Beer Brewing Demonstration—spend some peaceful time in the kitchen garden, then head to the brew house to see how hops and barley turn into beer. (You can also check out the new beehive relocated to the garden from Delaware County.) Included in regular admission. 1-4 pm. Aug. 31: Animals at Pennsbury—visit with the animals and the people who care for them. Included in regular admission. 1-4 pm. Saturdays and Sundays: On weekends in August, the 1 pm guided tour is included in museum admission. Aug. 21: Wags & Whistles—this new event features the latest fall fashions and therapy dogs, as well as the museum's world-class collection of railroad rolling stock. Proceeds benefit Keystone Pet Enhanced Therapy Services (KPETS) and the Friends of the Railroad Museum. Advance tickets are $10; tickets on the day of the event or at the door are $12. Admission includes the fashion show, a chance to meet the therapy dogs afterwards, and coupons courtesy of Tanger Outlets. Information on the program and ordering tickets are on the flyer. Doors open at 6 pm, fashion show begins at 6:30. Aug. 1, 8, 15, 22: Learn at Lunchtime—the museum offers free admission mid-day every Friday, along with talks by museum curators. 11 am-1:30 pm (curator talks start at noon). Aug. 7, 14, 21: StoryTime in Curiosity Connection—staff and volunteers read a different book each week, selected with children ages 3-5 in mind, and then direct a related play activity. StoryTime is included in regular admission. 10 am. Aug. 15: 3rd in the Burg—"Artists Conversations" presents Catherine Prescott, Purchase Prize winner in this year's "Art of the State" exhibit, talking with Beverly Lichkus, special assistant for the exhibit. Admission is free. 5:30-7:30 pm. Aug. 27: Films at the Farmstead—a family-friendly movie night under the stars at the Thompson-Neely House and Farmstead. Tonight's feature is Frozen (and if you don't spend the next half hour singing "Let it Go" in your head, then you're a lucky, lucky soul). Admission is $5 (age 5+); please bring a blanket to sit on and feel free to bring a picnic. 7-10 pm.